Pass by any construction site and you’ll see many of the things you’d expect to see – heavy equipment, office trailers, and workers in hard hats. What you may not expect to see is propane in use. Though most home consumers are familiar with propane as an energy source in the residential setting, it often comes as a surprise to learn that propane is an integral part of most construction and industrial sites. Propane is used to operate equipment, provide warmth for workers, and regulate air temperature and humidity for specific applications. As a jobsite fuel, propane is one of the most economical choices available for industry. Propane tanks are easily portable, allowing for fuel sources to be moved as needed around a jobsite. Because it is easier to store and transport than natural gas, and can be used both in liquid and gaseous form, propane is especially valuable on the job site. The applications for propane are numerous. Construction professionals use propane not only to provide warmth for their employees, but to also create optimum temperatures for the application of drywall and plaster, to dry concrete, and to aid in the application of various adhesives. 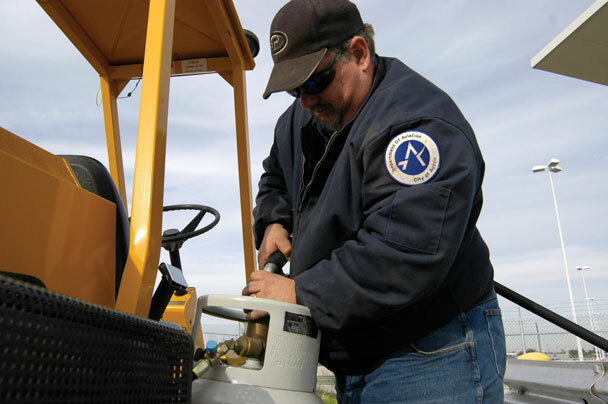 Propane also powers a wide variety of equipment, from torches to tar kettles to compressors. Because it is a low-pollution fuel, propane can be used to safely power forklifts and skid steers within an enclosed area. As a clean-burning, economical and safe energy source, propane is plentiful and reliable for all sorts of construction and industrial applications. A commercial propane supplier can help a business assess their needs for this alternative fuel and provide them with the necessary tanks as well as certain equipment. If you haven’t been using propane to power your job site, maybe it’s time to look into the possibilities that propane can provide.